Ever since I learn how to use the Google to find the answer about anything, weight loss is my number 1 in my queries. And actually I am willing to stash some cash for my weight loss if it means shortcut and no struggle. But I think you need also to make a research about the weight loss product if it really works before you buy it or waste your money for a crappy one. 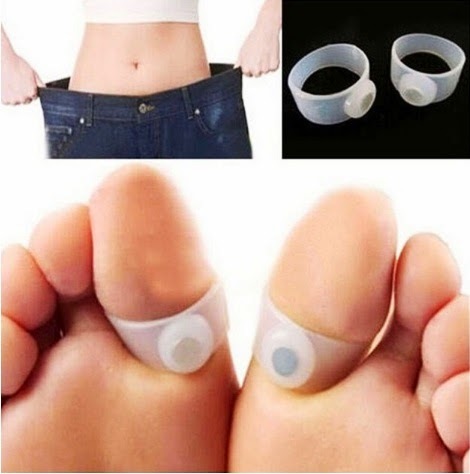 – it is actually a magnet coated by a silicone in a ring and you need to put it in your toes. It promises change in metabolism process, adjust endocrine system, increasing blood flow and etc. Seriously, how can one lose weight with this thing and how come magnet works with non-metal. I just can’t see the sense of it to work and adjust the metabolism of our body. – they say it is abdominal breathing exerciser and is a breakthrough product for respiratory fitness training, which works to improve the strength of your lungs and slim your waist, face, and reduce abdomen. Whoah, this one makes sense but can’t you do it also without this gadget by contracting your abdominal muscle in and out. – this one promises you lo lose weight by just putting it in your belly. Its main ingredients are Sophoricoside, Catechin, Capsaicin, Caffeine, Sallcornia herbacaa. The only familiar for me is caffeine that can be found also in coffee and tea but the rest I had no idea. 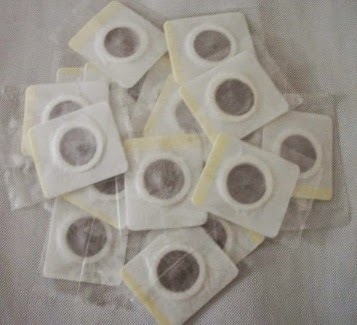 – this seems like slimming patch in no.3 but uses magnet like in no.1. I don’t know what is the logic behind this weight loss product, does magnet play important role in slimming? If it does why don’t we just grab any magnet and put it in out body. – it looks like this one works like a massager in parts of your body. But the question is will you lose weight or develop muscle gain using this one? I actually find all these products in Aliexpress and all of them sell like a hotcake base on their feedback. All my opinion here is purely from my logical sense although I find it weird; it may or may not work for those people who purchase these products. So do your own assignment and investigate before you buy them. And maybe you are wondering if it is safe to order from Aliexpress my answer is yes just find the right seller that has a good feedback ( Ang binili ko nga pala ay cellphone case ng Mi3 dahil bihira lang ang nagbebenta nito sa Pinas ). That's it! If you have any suggestions, feedback, critic, correction just comment it below. Hope you enjoy this post. Bye!